This biography is the premier and definitive story of Georgia's stalwart judge, statesman, and military commander. 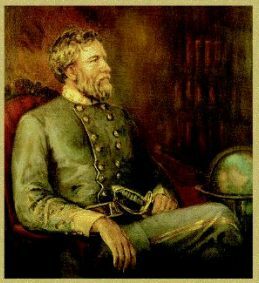 Affectionately known as "Old Rock," General Henry Lewis Benning led his brigade of dogged Southern warriors to numerous victories against overwhelming odds. Their achievements at the defense of Burnside's Bridge, the capture of the Devil's Den, and many other victories legendary in the annals of the American Civil War. Yet little has been written about the man who led them. His story delves deeply into political affairs, court cases, and the societal woes that he and his peers were forced to address. Through the words and deeds of Henry Benning, explore the impact of religion, slavery, and the critical roles these institutions played in antebellum society. As his story unfolds, the reader will learn how Benning's background and experiences shaped him into one of the most admired men of the South. Columbus, Georgia that his fellow citizens recorded, "No man in this city is loved like he." on his tomb, General Henry Lewis Benning, "This Was a Man!" 5 ¼" x 8 ¼" format, 438 pages, color cover, 92 internal illustrations, bibliography, comprehensive index, maps, charts, graphs. Paperback. Iberian Publishing.